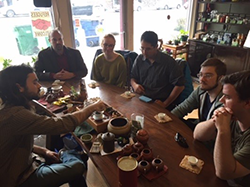 Several weeks ago, members of our Hartman Group analytics and consulting teams visited Floating Leaves Tea, a diminutive single-room tea shop in Seattle that specializes in traditional Taiwanese oolong teas and tea- preparation methods. Floating Leaves Tea was founded by its owner, Shiuwen Tai, in 2006 after she moved to the U.S. from her native Taiwan. Both Tai and store manager Noah Baseleon-Abbott undertake regular trips to Taiwan in search of the best single-estate oolong teas in the world. Over time, they have cultivated unique relationships with individual tea farmers, roasters and brewers whose artisanal practices go back generations. We had a chance to talk with Baseleon-Abbott about their latest visit to Taiwan as well as the future of tea in the U.S.
What were you doing in Taiwan this spring? In addition to sourcing really good tea, we are working on a documentary focusing on a tea roaster in Taiwan. It’s almost like a “Jiro Dreams of Sushi”-type portrait, but this roaster's personality is totally different from Jiro’s. One thing I really want to show is how once people go and drink his tea, they never drink anybody else’s. His tea is just very clean and feels so huge in your mouth, so comfortable. That sort of thing really inspires us in this tea shop, because what we are looking for in all of our teas is to have something more there for people. I think a lot of that comes from having a direct connection with the farmers and the roasters like this master roaster — and not just meeting them, but being friends with them and spending time with them over the course of years. It’s really important to us. So how do you take that really specialist knowledge and translate that to everyday people in the U.S.? 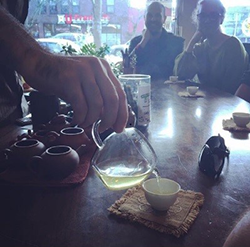 I think what we want to do with this shop is to share the beauty of the art of tea with people and share a direct connection to Taiwan. I think a lot of tea places are doing really great things with tea. Everybody’s doing different things — like monthly tea boxes or helping farmers wholesale their teas in the U.S. What we are trying to offer is to be true to the art form and the people in Taiwan who are doing interesting things with tea there. And the way we do that is through teaching classes and workshops. 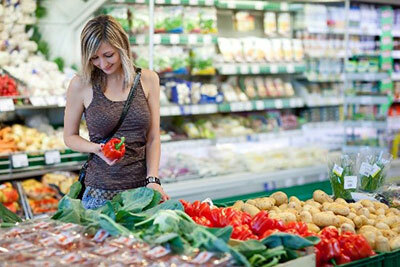 At the beginner level, it's just a great opportunity for people to relax. Making tea can be very structured, where everything has a place and draws on this aesthetic of minimalism — it can be really calming. But it can also be totally unstructured once you learn to break the rules. And good tea can relax you. I think people in the U.S. right now are looking to become more engaged with what is happening around them, more engaged with your body, what’s right in front of you, with the people you are around. And in a big way, tea is the most social drug that I know of. Of course, there are other, deeper aspects to it, like there are no matter what art form. What do you think keeps people from drinking more tea in the U.S.? I think that some people who have a habit of drinking tea in the U.S. did so because they just don't like the taste of coffee, but I’m not sure if it’s so much a coffee vs. tea thing now, though. The way we do coffee is very much a “me” thing — I’ve got this thing that I’ve specified exactly how I want it to be and I go and maybe sit down and work on my computer with my headphones on. Which is great and fits into our culture. Tea has this whole social "us" thing going on, at least the way we do it with small cups and pots and the whole ritual around it. I think this generation is really ready for something like that. It’s interesting to think about how tea is so traditional and integral in Chinese culture, but the way that Americans typically drink tea is not the same. Just the whole idea of tea with “floating leaves” in itself can be strange for some Americans. Like in the South, when you say “tea,” it is “sweet tea” made with Lipton and Sweet’N Low, and now there’s all of these other kinds of teas that are becoming more popular, like bubble tea, which is also from Taiwan originally. I love bubble tea. And I think that can get more popular. Traditional Chinese tea has a health angle to it, and bubble tea totally doesn’t. But bubble tea tastes really good. 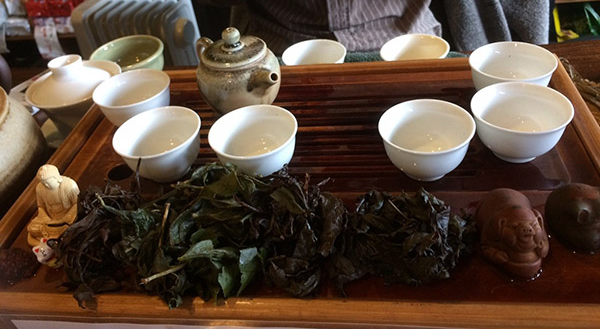 I do know that the most popular tea culture online — the culture that people are getting really deep into and nerdy about — in tea communities is this kind of tea, “gongfu” tea, oolong, puer. Because it looks exotic and it tastes strong enough. Like tea espresso. People can’t say it “tastes like flavored water.” So I do see this getting bigger, but I’m not sure what it is going to look like. I think a lot of what keeps people from getting more into traditionally brewed Chinese teas is not because they necessarily want something cold or iced but they are looking for a ready-to-drink product, and ready-to-drink tea is usually cold in a bottle. It’s just harder to have a hot tea that’s ready to drink and tastes good. These tiny cups and pots we use are like an antithesis to that kind of consumption. 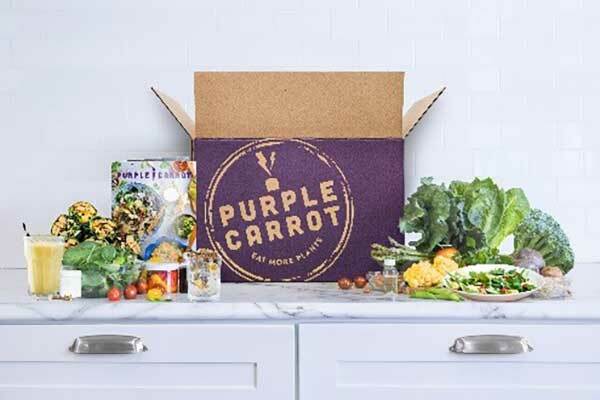 Starbucks has experimented with tea investments like Teavana and Tazo, and it has encountered headwinds, yet at the same time we see significant growth in refrigerated tea and kombucha drinks. What do you think this says about the business of tea in the U.S. at this point?